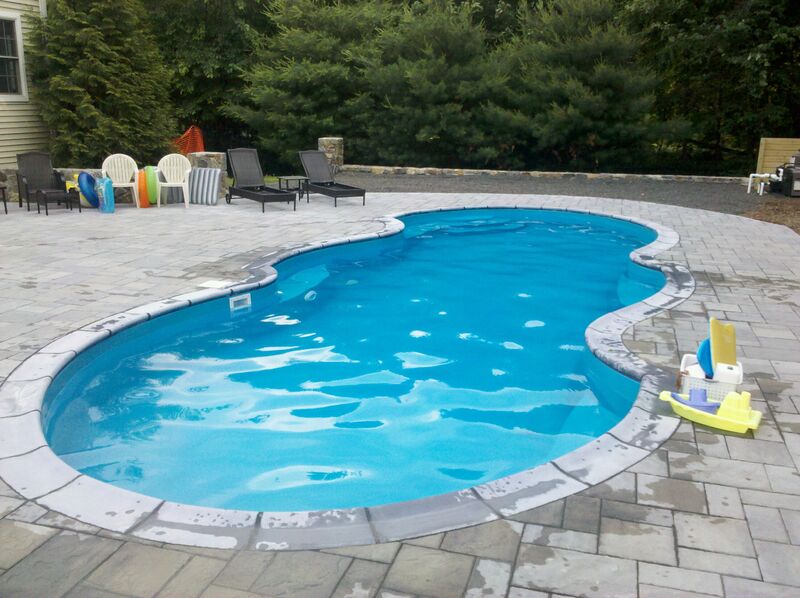 Master designer MICHAEL Gotowala is the latest SAN JUAN POOL DEALER IN CONNECTICUT who not only can install the pool itself but create an oasis of a backyard. “We are not pool builders. We are Outdoor living specialists. SAN JUAN is the pool Builder. Between the two SAN JUAN POOLS and PREFERRED PROPERTIES one can be assured of a backyard pool and Poolscape of a lifetime. Outdoor living projects and deluxe poolscapes with all the comforts of home have been the mainstay of business for Preferred Properties Landscaping and Masonry out of Cheshire, CT. Preferred’s design build firm has been involved in award winning and TV aired outdoor living projects throughout all of CONNECTICUT and New york for quite sometime now. With over 26 years of design build outdoor living vision and experience,MICHAEL’S team at preferred is competent in the design, construction, coordination, management and deliverence of all projects. The latest trend in summer fun is building patios and poolscapes around SAN JUAN Fiberglass pools. San juan Fiberglass pools for instance come in various shapes, colors and price points for selection. The benefits of fiberglass are upbuilding when comparing pools and contractors alike. Ever fall running around or swimming in a gunite or concrete pool. The fall is unforgiving. In fact it hurts. 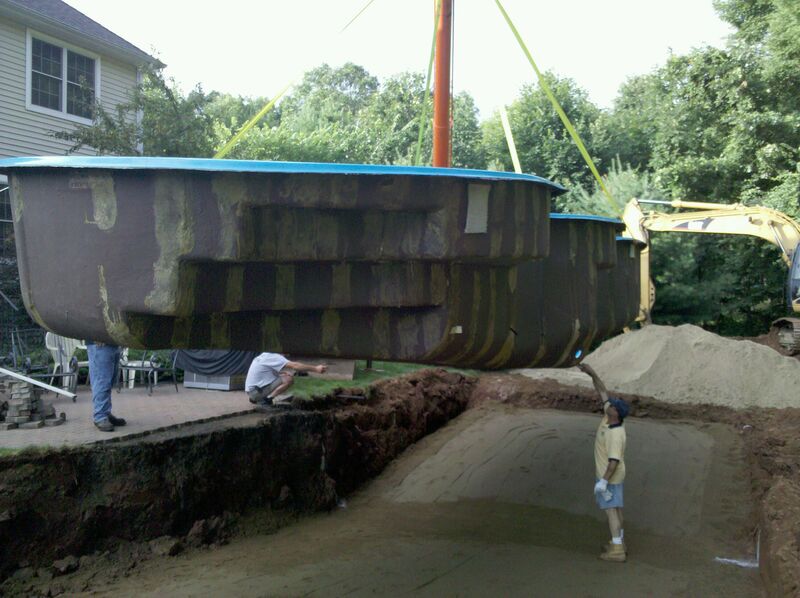 The cost Is not only pricey but very few contractors know how to put in concrete gunite pools. They get handsomely paid for their efforts rightfully so. The pools look beautiful, also look much prettier than They feel. Appealing to maintenance of concrete can be costly. Concrete expansion cannot be prevented just hope the right precautions are in place to safeguard of cracking. Remarsite may be limited and expensive. In new England gunite has its benefits but may not always be the ideal choice. The positive side of custom sizing, locating and building maybe outweighed at times. 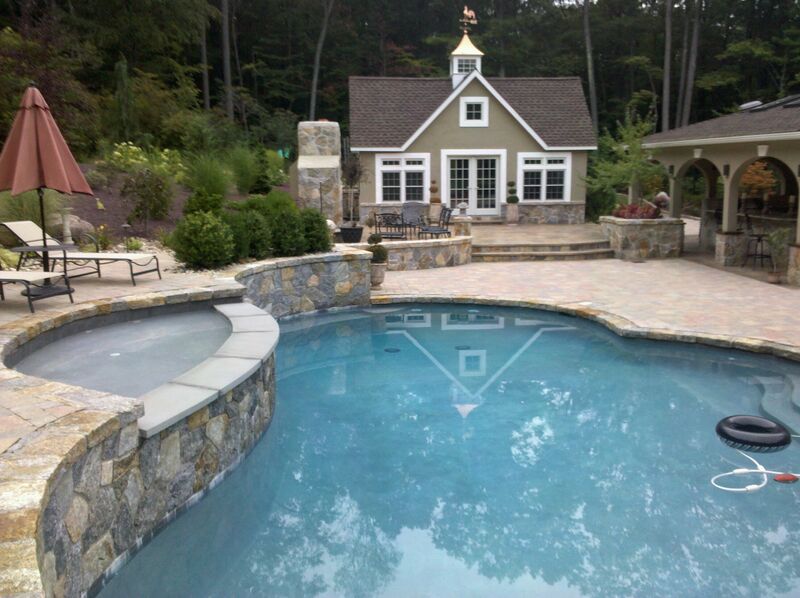 Preferred Properties Poolscape designs And achievements are Found around many of the finer concrete, shotcrete n gunite pools throughout CONNECTICUT. Massive stone walls built into the slopeside to uphold gunite pools are quite frequently built By preferred’s Masonry specialists. Liner pools are Nice But certainly don’t portray the “wow” factor. Liner Pools have come a long. Way in construction engineering of the frame of the liner pool, choice and selection of the liner, and the coping selection. 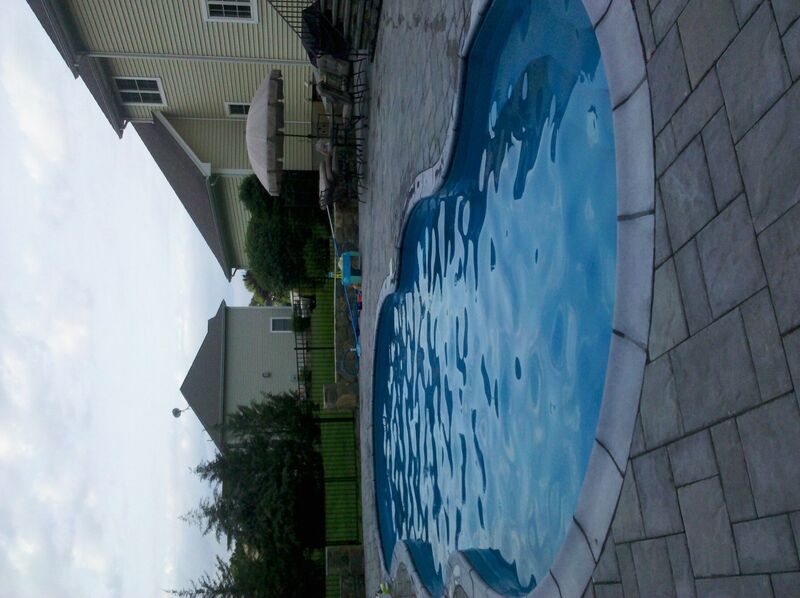 The drawback of liner pools is the knowledge and cost involved to change out the liner when necessary. Many times you need to match the exact manufacturer of the pool. Stone or natural materials selection for the Coping is considerably limited. The metal frame and threshold to support the stone is shallow or thin to say the least. Fiberglass selections now come in exotic shapes and colors. Many times have built in swimming and sitting ledges with multiple entry and exit points. The fiberglass sides are gelcoated or silky smooth as they say. Perfect for safe and comfortable playing and swimming fun. The fiberglass sides are non porous thus disallowing the build up of debris. The end result less cleaning, less vacuum time,energy savings and more time to swim. If a leak or crack shell is detected, it can be repaired with standard Fiberglass repair procedures similar to fixing fiberglass boats. 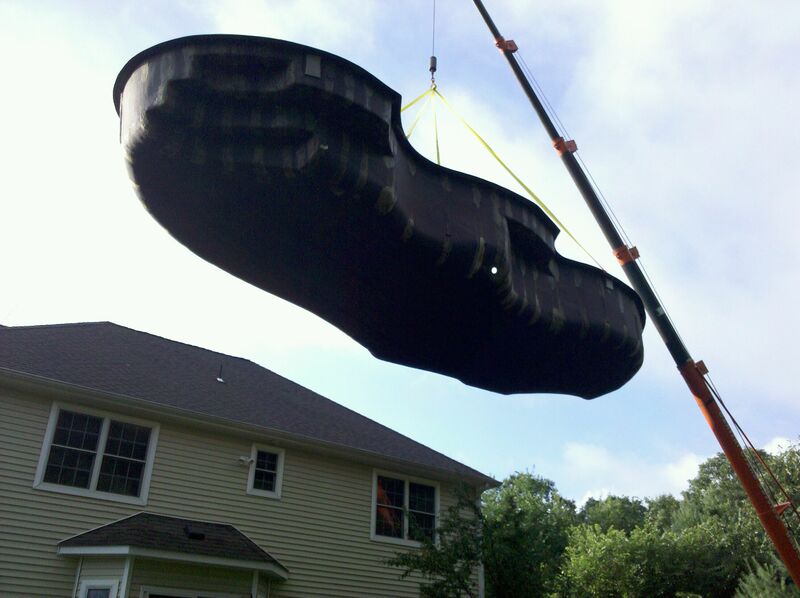 Fiberglass pools In the hands of a competent pool dealer is Just the ticket for a backyard Poolscape of a lifetime. For answers to many of the questions you may have, contact us at Mulchmadness@aol.com. our site is Outdoorlivingct.com. This entry was posted in CT, Featured Projects, Fiberglass Pools, Fiberglass swimming pool, inground Fiberglass pool, Landscape Design, landscape designer, Landscaping, Masonry, night lighting, outdoor living, Pools & Poolscapes, Preferred Properties Landscaping and MAsonry, san juan pools, stone work, Swimming pool and tagged Fiberglass pools, liner pools, pools. Bookmark the permalink.